This new 5.5-inch handset is powered by the octa-core MediaTek MT6750 processor, next to 4 GB RAM, 64 GB internal storage, as well as a generous 20 MP front camera for best selfies in its class. Those interested can pre-order it in India for the equivalent of $296 USD. 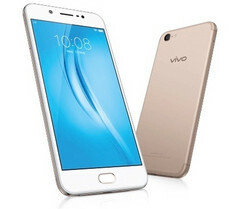 Vivo is one of the popular brands in Asia that does not have a solid presence in the Western market, although its handsets are quite attractive. Its latest creation, called Vivo V5s, is now up for pre-order in India and offers quite a few features for mobile photography fans. 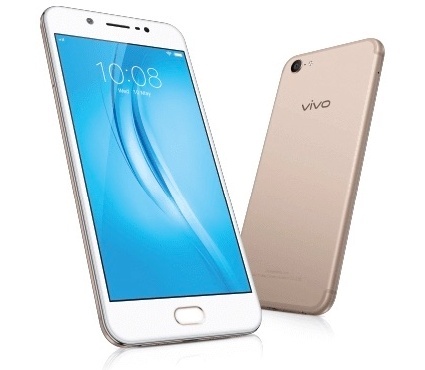 Vivo V5s can take 52 MP Ultra HD photos, although its rear cam only has 13 MP and PDAF. However, the 52 MP shots are created by capturing and combining multiple shots. The front image snapper has 20 MP and comes with selfie-focused features such as Moonlight Glow, Face Beauty, or Group Selfie. Leaving its photo capabilities aside, the V5s packs a MediaTek MT6750 processor, next to 4 GB RAM, 64 GB internal storage and microSD support up to 256 GB, a fingerprint sensor, a 3,000 mAh non-removable battery, all with Android Marshmallow on top (with Vivo's custom Funtouch OS 3.0 UI). Sadly, it can only be acquired in India for a price of about $296 USD.